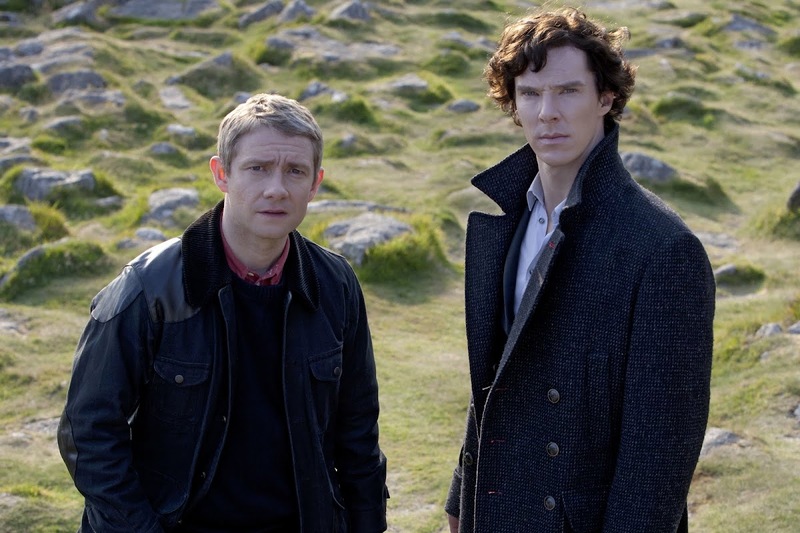 Benedict Cumberbatch and Martin Freeman return as Holmes and Watson perhaps the most famous of Arthur Conan Doyle’s stories, “The Hounds of Baskerville”. 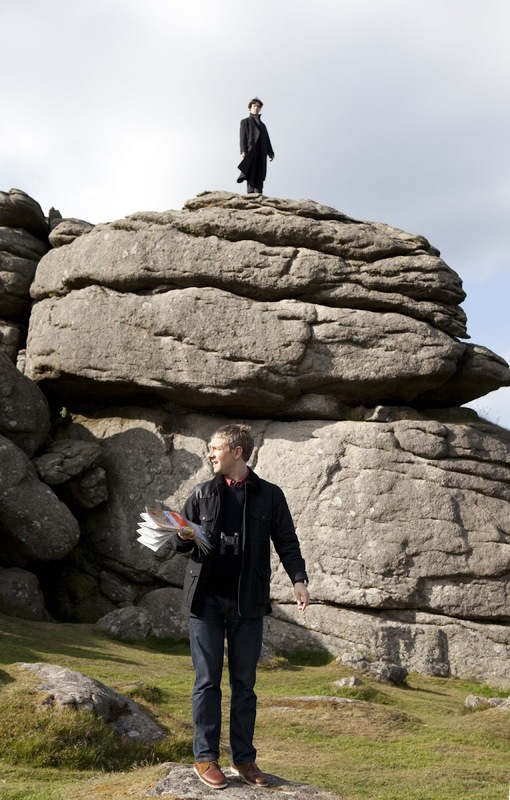 Written by Mark Gatiss, this modern reimagining of the stories takes us out of London and into Exeter and the moors of Dartmoor. 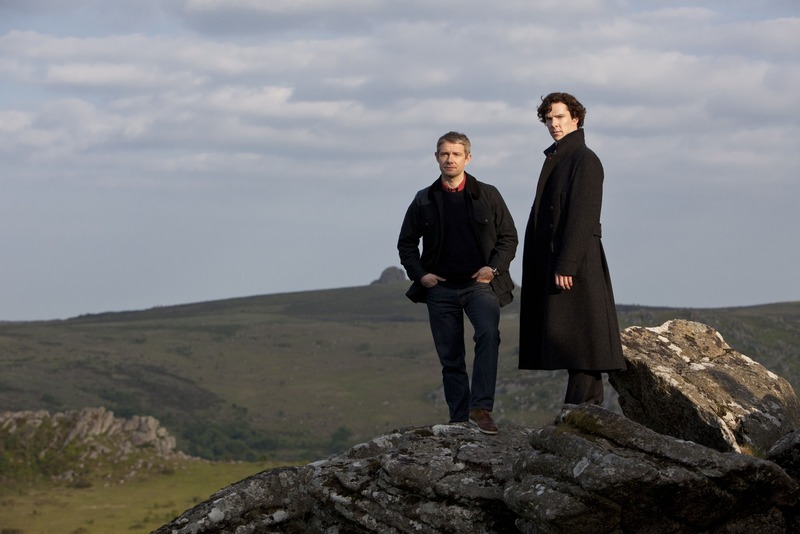 Holmes and Watson travel to Dartmoor to visit the moors and they soon gain access to the secure Baskerville military facility using Mycroft’s stolen access card. What follows is a great sequence as Holmes and Watson tour the facility, racing against the clock as Mycroft’s ‘visit’ is flagged and questioned. I loved Captain John Watson suddenly pulling rank and ordering the corporal around. Apart from the comedic value, it reminds us of Watson’s roots in the army and that he was once very senior before he became Holmes’s sidekick. 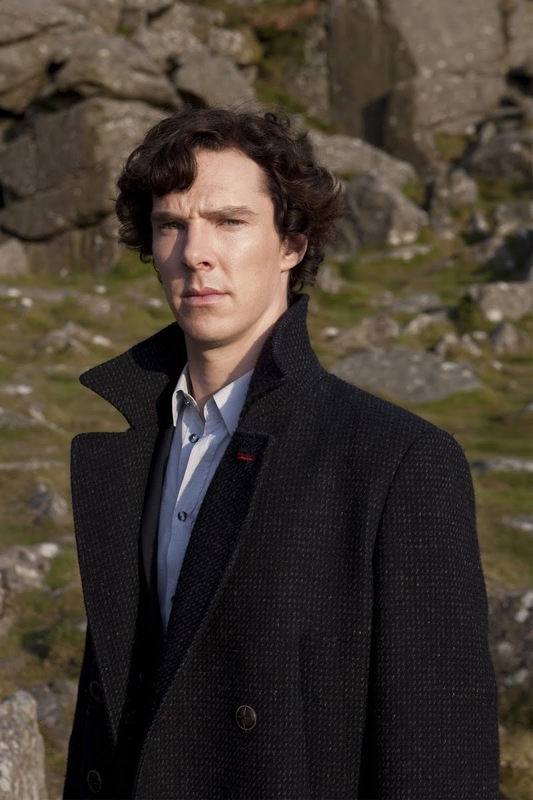 (Tangent: of course, I believe that is all Sherlock’s perception because I honestly believe it is Watson who is the true hero of the Sherlock Holmes canon). While in the facility, Holmes and Watson meet the friendly and helpful Dr Frankland (Clive Mantle) and the sinister Dr Stapleton (Amelia Bullmore, Scott & Bailey). My, how perceptions can be deceiving! It doesn’t take Sherlock long to figure out that Dr Stapleton is none other than the owner of the missing fluorescent rabbit and he quickly connects that to the activities in the lab, which Stapleton describes as ranging from stem cell research to trying to cure the common cold. Of course, we in the real world refer to it as the evil and unnecessary practice of vivisection. It seems more and more likely that the hound that attacked Henry’s father must have escaped from the lab but the duo have no more time to investigate as Mycroft’s access card soon fails and they narrowly escape the facility with the help of kind Dr Frankland. Of course, night must fall and with nightfall comes a visit to the scene of the attack on Henry’s father twenty years previously. In one of the eeriest scenes I have seen in ages, Holmes encounters the great hound, or does he? 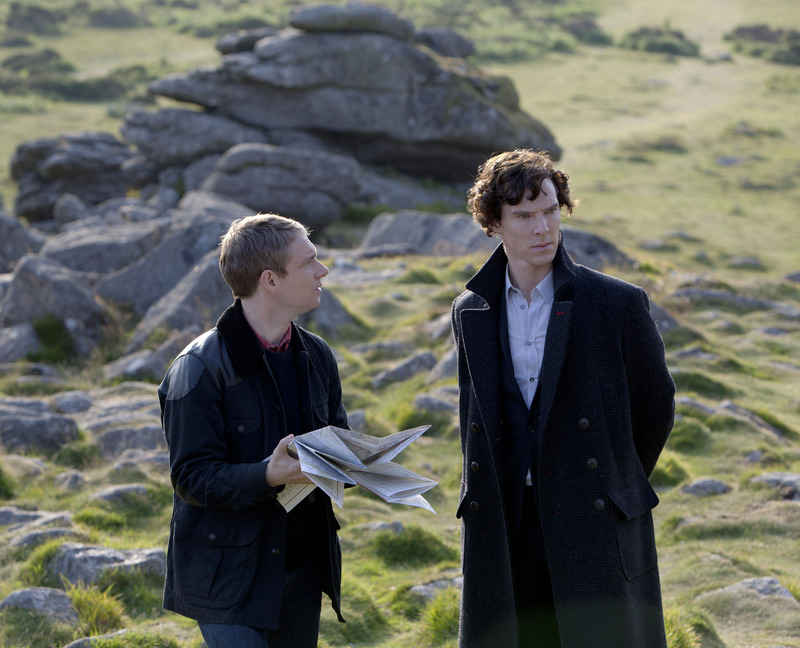 We never actually see the beast and Sherlock can’t quite believe what his eyes are telling him. The scene is competed with strange noises, howling wolves and dripping water and I wasn’t sure whether to perch on the edge of my seat or dive behind my sofa. This is classic horror story stuff. Later in the evening, Watson tries to speak to a visibly shaken Holmes (well, visible to the audience, Watson doesn’t seem to notice at first). Could it be that Holmes is actually scared? Perhaps, but it is more likely that he is trying to get to the bottom of his experiences. So, without giving too much of the plot away, let’s talk about what I liked about this episode, because there was so much to like! There was absolutely stunning cinematography in this episode with the vast landscapes and sweeping vistas of the moors of Dartmoor. Once again, I loved the score and will definitely be buying the soundtrack when it is released later this month. 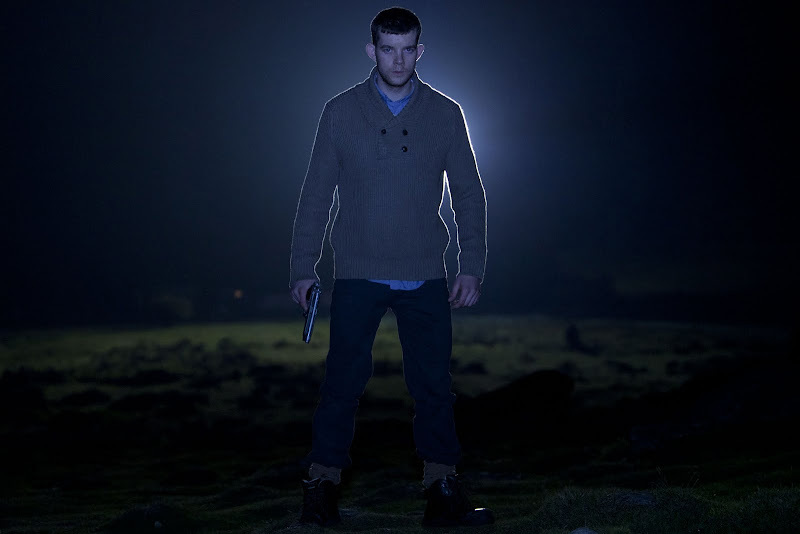 I quite liked the West Country accents and I also really enjoyed seeing Gordon Kennedy as the restaurateur Gary. I loved the scene where Holmes snaps at Watson, telling him he doesn’t have friends, with the word sliding off his tongue in disgust. It was great that Watson stood his ground and walked away and that Holmes had to eventually admit to him that he has but one friend. I am a massive fan of Rupert Graves so, as always, I loved seeing DI Lestrade in this episode, especially as he had a rather fetching suntan. 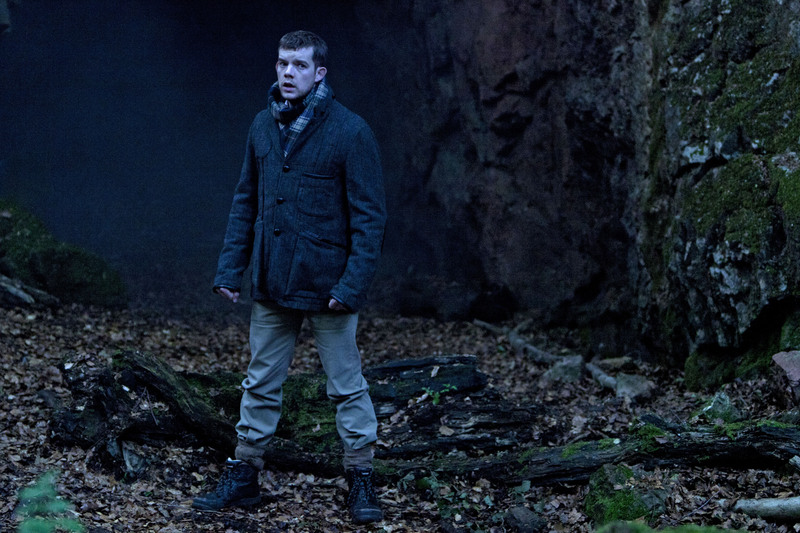 Russell Tovey was fantastic as Henry Knight, which is no surprise really as he is a fantastic actor. Henry was at the edge of his sanity, a whisper away from becoming completely unhinged and Tovey totally owned the role. My favourite part of the entire episode was the Mind Palace and I loved the way it was filmed. It is the kind of thing you wished you saw more often but I imagine that it could never be quite as perfect as this moment. I also loved the scene towards the end with the gas mask, but then I always find gas masks specifically terrifying, for some reason. You might be mistaken for thinking that I loved the whole episode so I am pleased to admit that I didn’t like quite a huge part of it. I really didn’t like the sensory overload in the scene in the lab, with Watson (and the audience) being scared out of his wits. The lights and sounds were too much for me and I thought to myself, “apart from scaring the pants off the audience, what is the point of this”. I hadn’t liked the scene with the lights in Henry’s garden, either. It occurred to me midway that that the slasher pic scare tactics had better have a decent function because it felt like lazy writing to me. Well, I wholeheartedly apologise to Mark Gatiss for even thinking that way because when the big reveal happened at the end of the episode, it all made perfect sense. The terror within me and my ravaging heart was all worth it and as a former psychology student, I just loved the idea of conditioned terror. And how that concept was manipulated within the episode and by the production team! 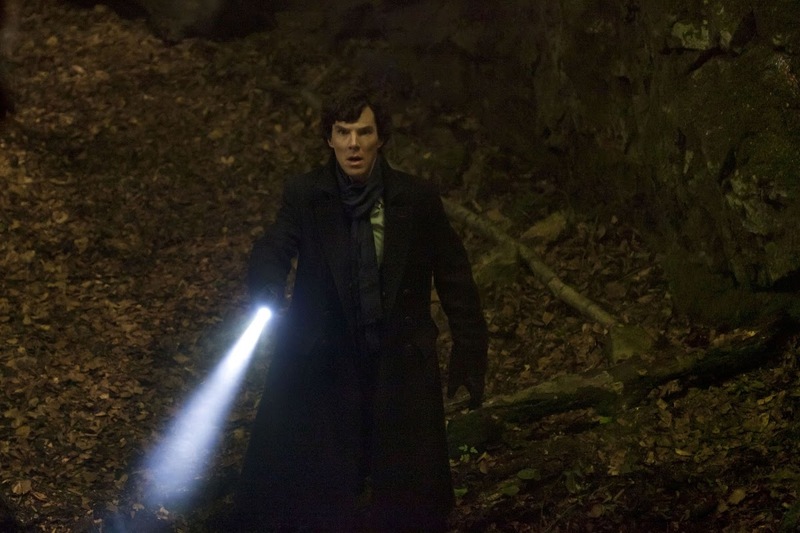 For nothing was as terrifying as that final scene with Moriarty! 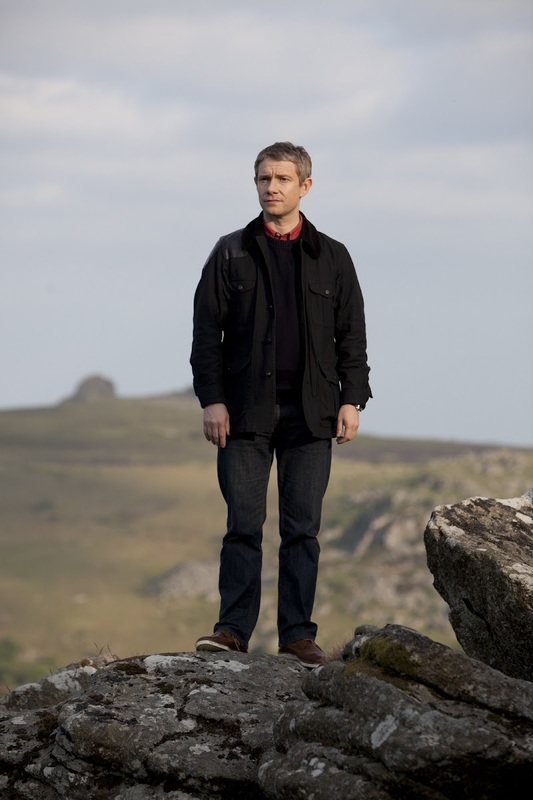 I really cannot wait to see next week’s final episode, “The Reichenbach Fall”. Yeah, it was really good. Hopefully tonight's episode won't disappoint! I will watch for this to come on BBC Canada. I started watching the US Sherlock Holmes but got bored with it. It was just a lot of action and nothing really happening. @ Laura: Do you mean the films or one of the old TV series?